Good Mattresses for Side Sleepers tend to be hard to find because the tautness and bounce tend to be adjusted to a back sleeper’s comfort. But with proper help, you should be able to find a pretty back-friendly mattress that reduces chances of back pain as well as helps you sleep better on your side. Mattress for side sleepers should be focused on durability and edge support. 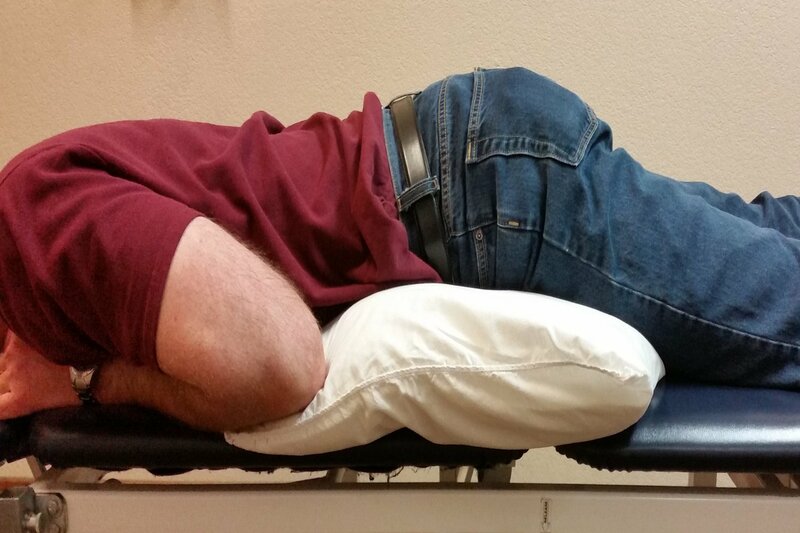 It should also not dent too much to keep spinal alignment proper while sleeping. 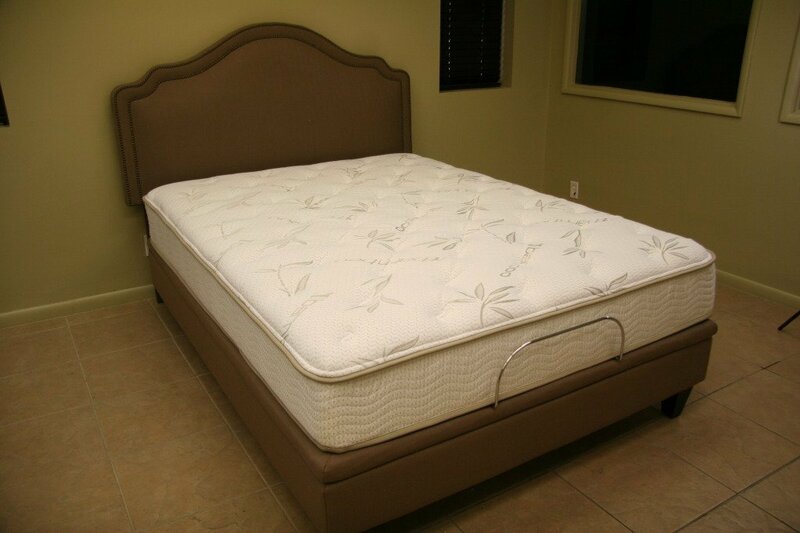 Memory foam mattresses tend to be better for side sleepers along with﻿﻿ latex mattresses. A memory foam mattress with a latex base and cooling gels built into the upper layers can really help side sleepers find comfort. In this post, we guide you to some amazing mattresses of various builds that help side sleepers rest better. We also tell you why a good side sleeper mattress matters and how you can find one for yourself if you don’t like one from our list. If you ever remember physics from school, you will remember the lesson about why a very petite young lady can cause a lot of pain if she steps on your feet wearing stilettoes. This is because while she may not weigh a great deal, all of her weight is being passed through a very small area. The same applies with side sleepers. There is a much smaller area of the body in contact with the mattress, which is why in our opinion a spring based mattress will never be the solution for a side sleeper. However thick the padding, at some point, the pressure points of the hip and shoulders will start to come into contact with the springs, and very quickly sleep-filled nights will be a dim distant grumpy memory. The Serta 12 inch Gel Memory Foam mattress is so thick that if you are too short, you might need a step ladder to get into bed. This is not a criticism but a complement. The design of this mattress is exceptional, there is a top layer of gel memory foam, whose sole purpose is to distribute the weight evenly and provide a comfortable sleeping position. Underneath this is the second layer of Activ-Air foam, which essentially permits and encourages the air to circulate under you while you sleep. This helps to keep the air underneath you nice and cool, and so prevents any sweating. Finally, there is a 7-inch high-density foam base, which provides yet further support, and tops off the whole bed. This mattress is quite possibly the most comfortable mattress I have ever slept on, and with no springs to cause discomfort or to go wrong, the manufacture offers a twenty-year guarantee. 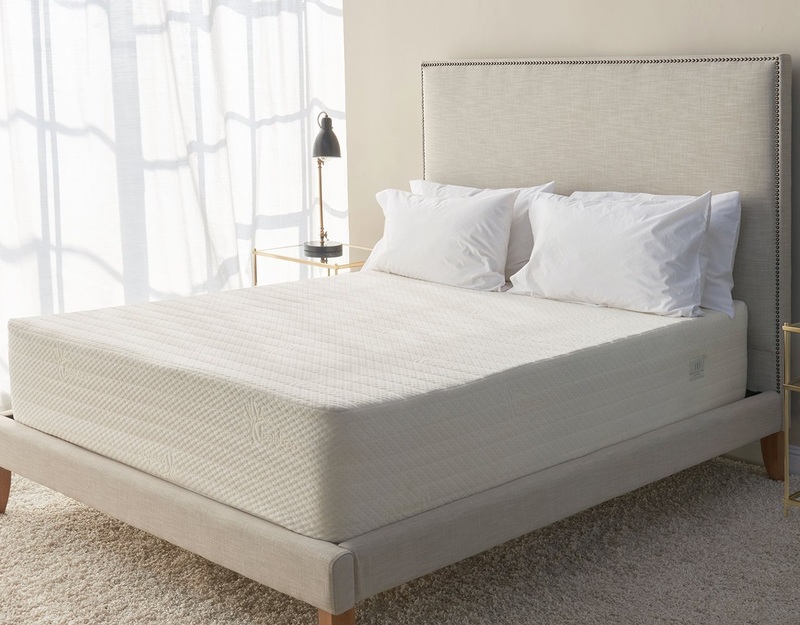 In our opinion, if you are a side sleeper, and in the market for a new mattress, the Serta 12-inch Gel Memory Foam mattress will make all your dreams come true – literally. Gel foam products are not so easy to clean, should an accident happen, cleaning may be slightly more difficult – our advice would be to invest in a mattress protector. If funds are a little tight, then the Lucid Dual Layered Memory Foam mattress is far and away the best value mattress on test here. Compared to the competition there are obviously little innovations missing, which is understandable when you are designing a product to a certain budget, but in our opinion, the cuts that have been made will cause the minimum disruption to your night’s sleep. Compared to all of the other mattresses in this review, the Lucid sells for half the price of the competition. That is almost impossible to comprehend, especially when you test it out. We had reasonably low expectations for this mattress, and to be honest, we were simply blown away. The quality of the product for the money you are spending is phenomenal. The mattress is made from two separate parts, a two-inch layer of gel, that you lie on and an eight-inch layer of high-density foam. This is less than all of the other mattresses featured, but there doesn’t appear to any major drop in luxury or comfort. There is built in ventilation included in the top layer, which means that air can freely circulate your body, helping to keep you cool and comfortable. The list of benefits this mattress brings continues to surprise and impress. A full 25-year guarantee is included as standard, so the company has total confidence in the build quality and materials used. It was the quickest mattress to adapt to our body shape, which may mean it will be the fastest to wear out. This mattress is made from two separate layers of foam. You lie down on 2.5 inches of Suretemp memory foam, which is stunningly soft and supportive, and you can feel the foam wrapping itself around your body as you settle down for a night’s sleep. Truth be told, it might make it difficult to get up for work in the morning, as this mattress is so comfortable. 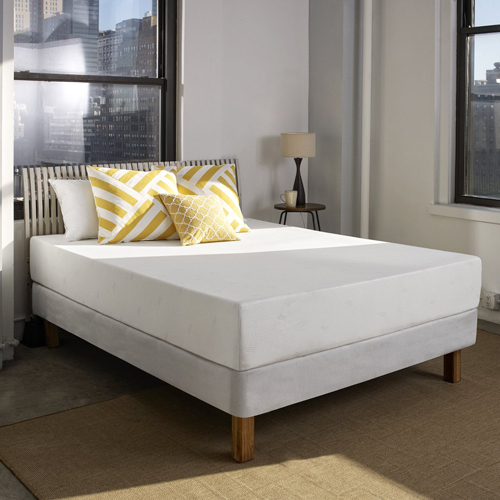 The main body of the mattress is 9.5 inches of high-density support foam, which in our experience appeared to be of top quality and looks like it will last a long period. There are also nice little additions such as anti-dust mite technology and Hypo-allergenic treatment. People often ignore these smaller additions, but in our opinion, they offer extra value, and surely it is better to have them than not. As with the overall winner of our test, this mattress comes with a twenty-year guarantee, which demonstrates the quality of the product and should inspire confidence when purchasing. Perfect for side sleepers providing firm but comfortable support for hips and shoulders. Hypo-allergenic with anti-dust-mite technology built in. This mattress is comparatively heavy so manoeuvring it around can be challenging. On initial use, some of our testers complained that the mattress was too firm, but persevere with it and this problem goes away. As with most foam mattresses, it is not possible to wash properly, so it may be advisable to invest in a waterproof mattress cover especially if you have pets or young children. A Bed Made Of Rubber! Well not quite, but the Dreamfoam mattress does bring something else to the table. It combines four separate layers of materials, all of which add something to the overall quality of the product. The top layer is a 4-way stretch bamboo cover, which introduces a higher level of comfort, and facilitates natural air circulation. 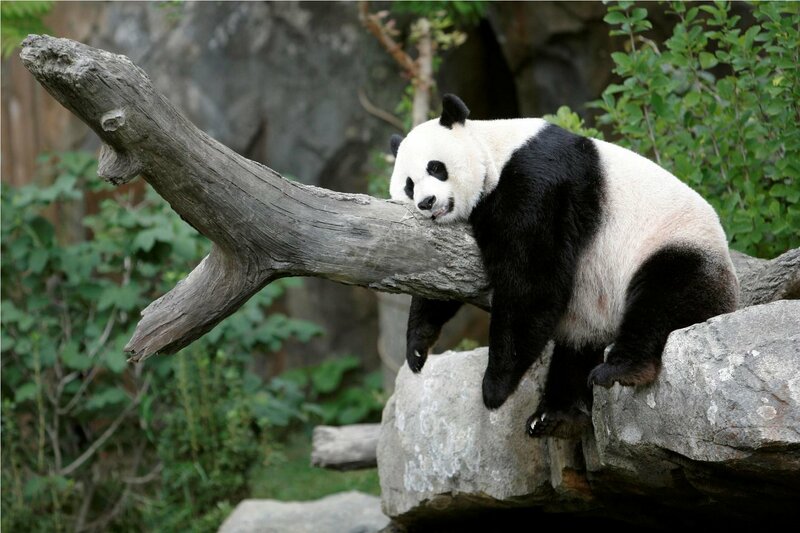 Cleaning is also much easier, and bamboo is naturally resistant to bacteria. Underneath the top layer is 1.5 inches of Hyper-Flex foam. This foam is ideally suited to back or stomach sleepers, but for those who like to sleep on their side, it is probably the firmest support that won’t cause any pain or damage to your joints. Anything firmer and problems could develop. The third level is that infamous Latex (rubber) layer we mentioned in the title. Rubber brings with it many benefits including natural comfort and maximum support. Finally, there is a 6-inch high-density base which provides the perfect foundation for all of the other layers above it. Buying a mattress can be quite an impersonal experience, particularly when buying online, but this is one area where Dreamfoam excel. As a small family owned business, you can actually speak to the owners direct, and customer service is regularly complemented in online reviews. This may or may not be important to you, although you will never appreciate the value of good quality customer service until you need to use it. 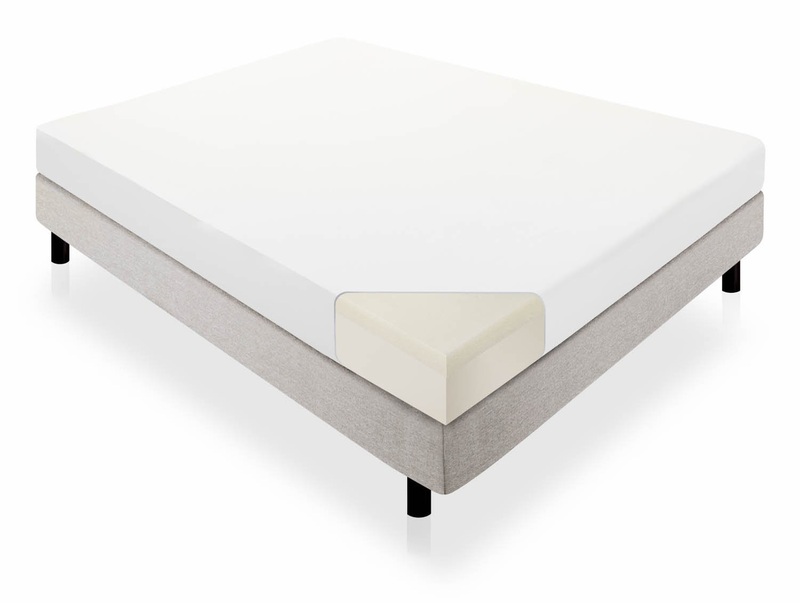 Our final review model for the side sleepers amongst you was the Brentwood 13” Gel Memory Foam Mattress. 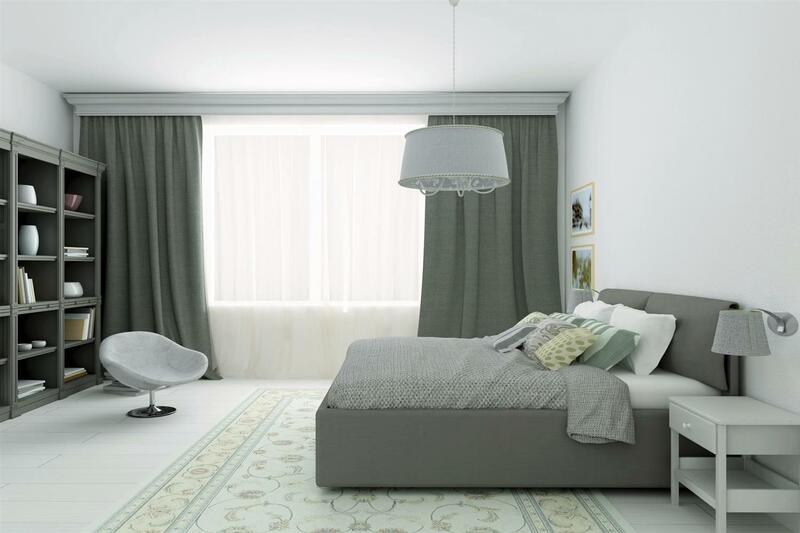 If the top level of the mattress is what you base your buying decision upon then, the Brentwood could be right up your street. Three inches of comfort, cooling and support await buyers of this mattress. The company use gel beads in the upper level and make a great deal about the heat reducing capabilities of their product. Research shows that if your body temperature remains cool during the evening, you will benefit from a better quality sleep, which when all is said and done is the main function of a mattress. Everyone really enjoyed this product, finding it firm but comfortable, and excellent value for money. One distinct advantage that this mattress provides is that it comes with a removable and washable wool surface cover. This gives you the opportunity to wash the top level should any accidents happen, which any of us who have pets or small children will be all too familiar with. This mattress was so close to taking the coveted title, and for people who are concerned about the environment, or prefer natural products to sleep on it will clearly be the winner. The top layer which we mentioned above is made from wool and bamboo; wool is well known for its temperature regulating qualities. Furthermore, the mattress is CertiPUR-US which means that it contains no harmful or prohibited materials. This is clearly great news both for the environment and even more importantly for you and your family’s health. The edges of the mattress do not provide good support, so don’t sleep too close to the edge. The mattress comes delivered in a compact package, so you need to give it a few days to fully expand before it provides the optimum sleep. 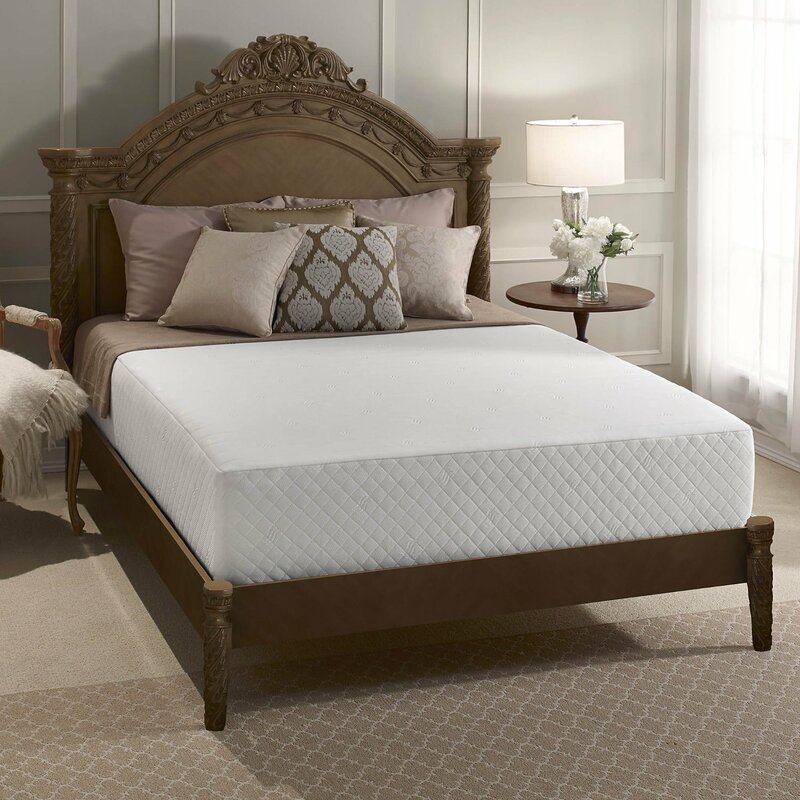 Why Choosing The Right Mattress Is Essential? You are an individual, and you will have a particular way of sleeping. Contrary to popular opinion, not all mattresses are the same, and it is better to choose a mattress that is compatible with your preferred method of sleeping. In this set of reviews, we want to focus on mattresses that are designed for those that sleep on their side. What To Look For In A Side Sleeper Mattress? The good news is that sleeping on your side is recognized as the healthiest position to sleep in. If you think things through logically, the ideal position is to try to maintain a straight spine, while you sleep, and to provide extra support for both your shoulders and your hips. For the vast majority of side sleepers, these are the points that will be taking all the weight. You need a mattress that provides sufficient padding, to protect your shoulders and hips which will be supporting all the weight of your body. Do not be tempted into visiting a store to test a mattress in person. Many people feel embarrassed about lying down in a showroom, and when you consider that you this purchase should last you eight years, you shouldn’t make the decision based on a five-minute test session. This is one of the benefits of buying online, as you can test out the product properly in the comfort of your own home, and most online stores will provide a sensible returns period. Your sleep is too important for your physical and mental health, so don’t just settle for a mattress, make certain that you have tested it properly over a prolonged period. In recent years and with technological advances the standard and quality of mattresses have gone through the roof. As a customer things have never been better, and if you are upgrading from an old mattress, you will be pleasantly surprised at the increase in comfort levels. To be fair, all of the mattresses above are excellent first class products, but the Serta has that little bit of extra quality that in our opinion makes it the winner. Whichever of these you choose, your quality of sleep is going to explode through the room. If you ever remember physics from school, you will remember the lesson about why a very petite young lady can cause a lot of pain if she steps on your feet wearing stilettoes. This is because while she may not weigh a great deal, all of her weight is being passed through a very small area.The same applies with side sleepers. There is a much smaller area of the body in contact with the mattress, which is why in our opinion a spring based mattress will never be the solution for a side sleeper. However thick the padding, at some point, the pressure points of the hip and shoulders will start to come into contact with the springs, and very quickly sleep-filled nights will be a dim distant grumpy memory.